The Gorge Amphitheater is one of, if not the, most famous venues in dmb history. Aside from Trax and Floodzone, it is the most often visited venue by the band and has been sold out every show they've played. It is located on the picturesque edge of a cliff overlooking the Columbia river gorge in the remote deserts of central Washington state. The majestic view is enough to take anyone's breath away let alone the experiences of camping with friends underneath a crystal clear view of the Milky Way's spiral arms as well as swimming in the refreshing Columbia river. Nevertheless, impressive scenery and great camaraderie is not the only attraction for dmb fans to this venue. Shows in the past have consistently featured the rarest setlists of the tour and are performed with exceptional zeal and energy. So when the band decided to release their first box set, the choice was obvious. 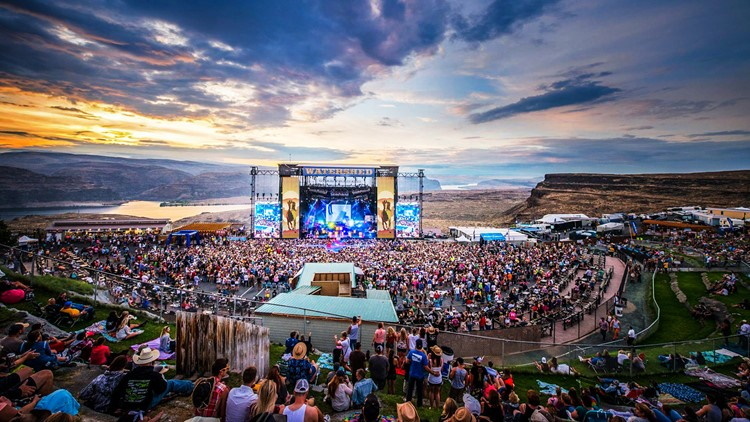 All things considered, it is no surprise that the band's annual runs at the Gorge have become not only the best place to see both DMB and mother nature at their finest but also a mandatory pilgrimage for any enthusiastic dmb fan.